A guide to gourmet steak cuts and how “done” people like them. 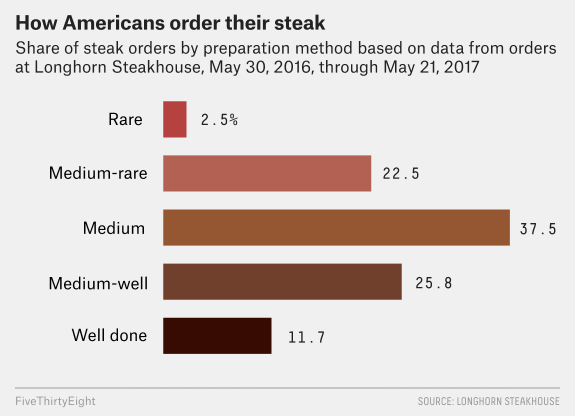 There are serious differences in how people order different steak cuts, and we wanted to know why. Prime rib also works great on the rarer side. Because it’s cooked slowly and at low temperatures, a rare order of prime rib can come out without the bloodiness that turns off many rare-averse people. Other premium steak cuts can handle more heat. Dahlmann suggests that home cooks invest in a high-quality meat thermometer to nail the perfect doneness every time. 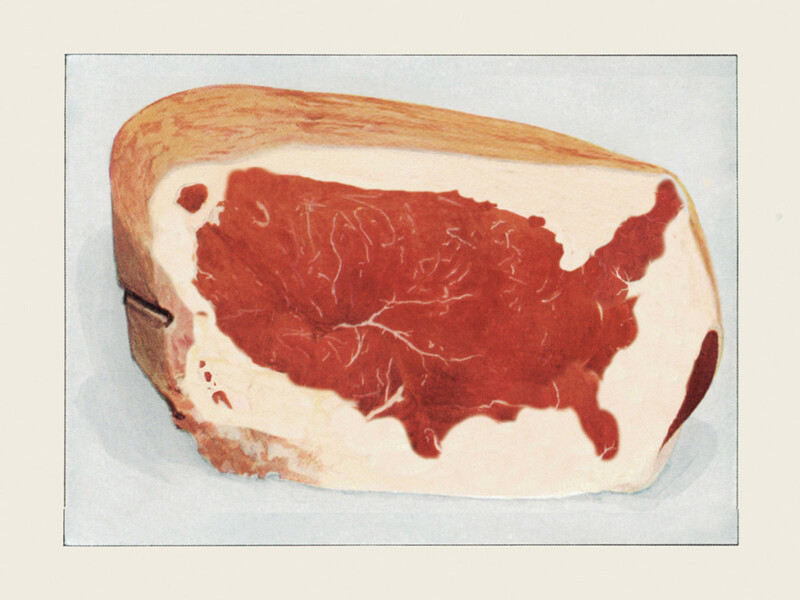 Any premium steak with an internal temperature from 95 degrees to 105 degrees Fahrenheit is rare, anything from 115 to 125 degrees is medium-rare and, according to FiveThirtyEight culture writer and cantankerous elitist Walt Hickey, anything above that is ruined. Lee Harper, of The Texas Steak Warehouse, mentions that 135 - 145 degrees Fahrenheit is a good range, and will satisfy the vast majority of gourmet steak fans, since that falls between medium-rare and medium-well done.